There is something uniquely unquantifiable about aviation. Climbing into machines that take us into the realm of birds and clouds, even beyond where celestial bodies reign supreme. What is it? What draws us to raise our heads skywards and long to leave the bonds of earth behind? Is it the freedom? Is it the solace? We see these mechanical beasts rising into the skies every day. For many we take a limited experience as we journey for business or pleasure to lands near or far. 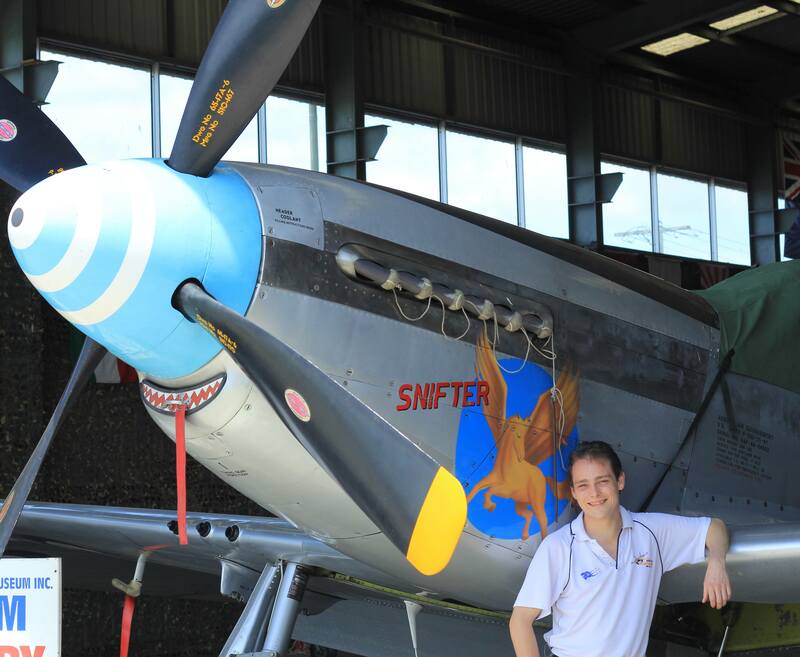 A lucky few are able to hold the controls of a real aircraft in their hands and guide it into the skies and back again. Simulation means we too can experience that thrill of flight, of taking the controls and venturing into the skies. Welcome to Flight Simulator X: Steam Edition. Allow me to introduce myself. 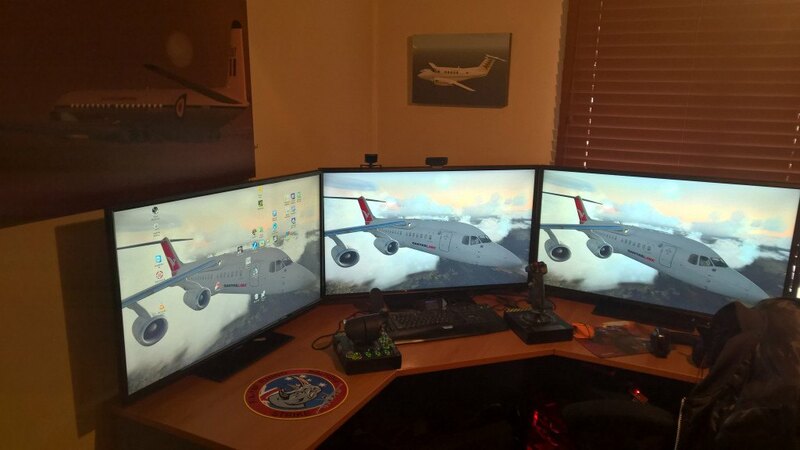 My name is Tristan and I am a flight sim addict… and I’m ok with that! You may know or have seen me online as Novawing24. Dovetail Games has invited me to write the occasional article for your perusal. Let’s face it, we all need something to read on those long-haul flights right? By way of an introduction, I’m going to reflect on my experience and my thoughts of FSX:SE from its release (well maybe a little before) through to now. So pull up your flight chair, call for some refreshments, and settle back for a tale. Our story starts back in 2014. Dark clouds had gathered and the end of recreational flight simming seemed imminent, as Microsoft had discontinued their popular Flight Simulator series. Then like a bolt out of the blue came an announcement from Microsoft and a company called Dovetail Games. FSX was to make a comeback on Steam and be actively supported by the team at DTG! Needless to say, there was a lot of scepticism. Who was this company that created virtual trains? What would they know about flying? I will be the first to admit that I started my FSX:SE journey as a confirmed sceptic. To say I was surprised by the initial release is an understatement. I logged into Steam, and in one step installed FSX and it just worked! Now to be fair, it was free of add-ons, but I took it straight into a well-known bench-marker with everything pushed up (by the way that’s KSFO if you want to try it yourself) to see if I could break it. Instead it was as if she looked back at me and went “Is that all you got?” I was gobsmacked. Previously, I spent more time editing configuration files, testing, researching, tweaking to try and extract decent performance out of the Boxed edition than actually flying. I cannot count the number of times I had to do a repair or a full re-install of FSX. I was ready to throw in the towel and be done with it. But now? FSX:SE offered me something that was aboth familiar and improved. I didn’t have to spend more time tweaking than flying. These under-the-hood changes and updates have, quite simply, revolutionized my FSX experience. I can now get on with what I want to do… FLY! Now before you go thinking I’m just a fan boy singing from a hymn sheet, I do have some gripes. Whilst the DLC management system is effective in managing what you have installed, it can lead to unexpected quirks when trying to customize things under the hood. Don’t get me wrong, you can still do these things, however certain processes, such as installing repaints on add-on aircraft, are different than those in the boxed version of FSX. The fact that FSX:SE is being supported and optimized for the Steam platform is a double-edged sword. All the things we took for granted in FSX didn’t work in FSX:SE because it was the first time in almost 8 years that the sim had been updated. Sometimes with FSX: SE we have to wait for content developers to catch up with the latest update from DTG, however this is a fact of software life which I feel only upset some long-time users of FSX because they haven’t experienced this since Acceleration came out. Instead of being annoyed, we should all be excited that the most popular flight simulation platform is being actively supported! My experience with FSX:SE has been an initial rollercoaster but overall one that is simpler and more stable than the old Boxed edition. I can focus on flying now and not messing with settings all the time. I have a stable platform to go and explore the world. This article would be lacking if I didn’t let you in on what my favorite add-ons are. So without further ado, (insert drum roll here): the Jabiru J-160 from IRIS Simulations and Active Sky Next Steam Edition from Hifi Technologies. The Jabiru is an excellent Sports Light Aircraft that is very forgiving to fly and allows one to explore low and slow through all the amazing scenery add-ons that abound. It gives modern convenience whilst still being a hands on aircraft that you actually fly and not just press buttons. Active Sky Next is undoubtedly an add-on that is one of those add-ons that is almost essential. FSX by itself doesn’t do a very good job of weather programming. ASN fills in that gap and simply WOW. I love how I can fly in whatever conditions the world throws at me. Or, if I wish, I can go back and fly in conditions as they were up to two years ago. Have you ever wanted to test your flying skills? Go hurricane hunting! Well that about wraps it up so that’s a little insight into my journey and I look forward to regaling you with more stories soon! Do you have an article you would like to share with us? Click here to submit your FSX:SE tips, tutorials, and experiences to FSX Insider!